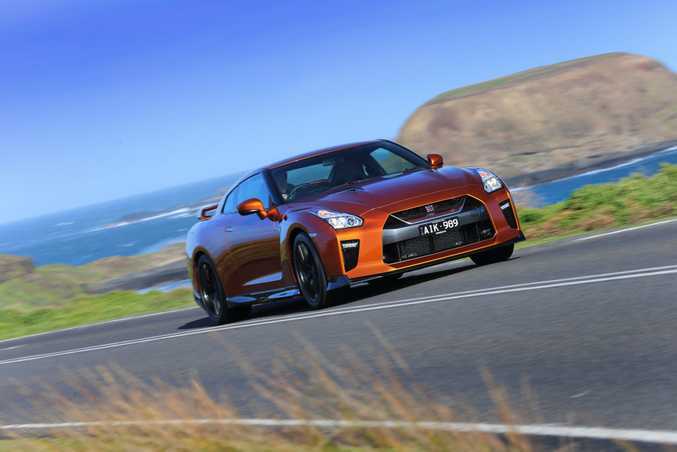 Latest incarnation of the Nissan GT-R offers more power, improved cooling and better aerodynamics to go with a more luxurious cabin. And yes, it's still a mad dog. RAW excitement and delightfully evil. 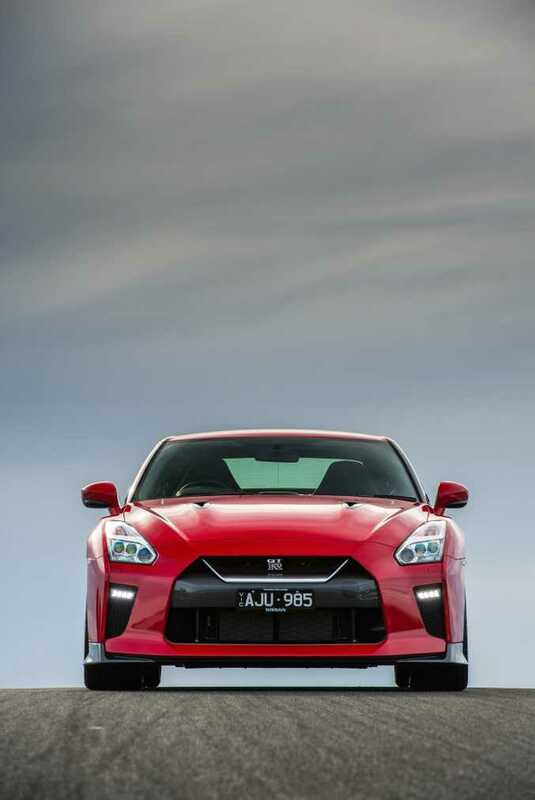 The latest Nissan GT-R has arrived with its trademark raucous attributes bolstered by a raft of changes to deliver evolution over revolution. Nissan says it's the sum of its parts rather than wholesale changes which encapsulate the 2017 model. 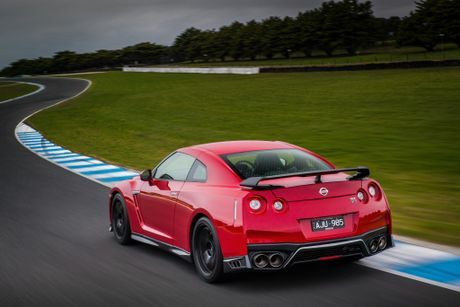 GT-R guru Hiroshi Tamura was at Phillip Island for the Australian launch event, highlighting the detailed analysis undertaken for this release. While it gets more power, improved cooling and better aerodynamics, the zero to 100km time remains uncharged at an insane 2.7 seconds. That ensures "Godzilla" remains embedded among the likes of Lamborghini, Ferrari, Porsche, Bugatti and other big guns you want to throw in the ring. Which makes the base model sticker price of $189,000 an absolute bargain. For those who want the racetrack focused variant that'll cost $227,000. So prices have risen considerably, yet are still pocket change against key rivals. 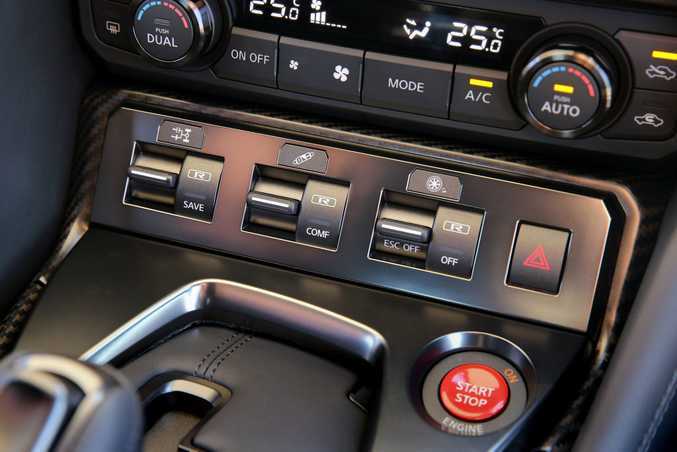 Refinement is not something typically associated with supercars, especially the GT-R.
Our previous experience in the outgoing Black Edition saw creaks and groans in the cabin. 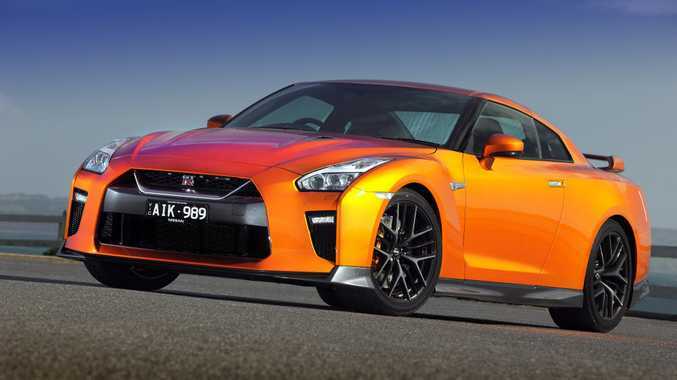 Not so this latest iteration, which has noticeably less noise and is hailed to feature the most significant upgrade since the R35 that was first launched in 1989. Luxury has taken a step forward. Leather trim on the dash, doors and seats, along with the carbon fibre centre cluster combine to provide improved sophistication. There are still some plastics used sparingly, like on the air vents and near the door handles, but the areas touched most are adorned with better materials. Both Premium models have nicely supportive pews, but the Luxury Trim version gets a choice of red, ivory, tan or samurai black colour scheme, while the Track version gets figure-hugging Recaro chairs. Getting into the cabin maintains the quintessential GT-R entry - push the handle with your thumb before the lever flips out to open the door. There's ample head, leg and knee room for those in the front, although the same can't be said for the rear. It's a domain best left to the kids, but most supercars are two-seaters, whereas this coupe has some surprising common sense as a daily driver. Ever been fly-kicked in the chest and enjoyed it? Probably not. 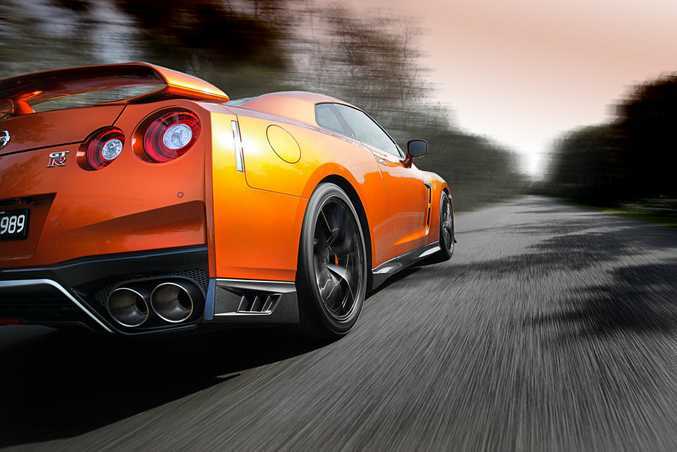 But the GT-R has drivers delirious with addictive fire power. Its abilities are brutal. Whereas some supercars offer levels of finesse, this is unapologetic as it casts bends aside with a combination of velocity and samurai-like steering precision. Improvements in the torque delivery mean, if you can believe it, even better mid-range punch. The ride is firm, as you'd expect from a supercar, and the Track derivative is best left on the smooth bitumen unless you're wearing a kidney belt. But if you want a soft ride, you're shopping in the wrong aisle. 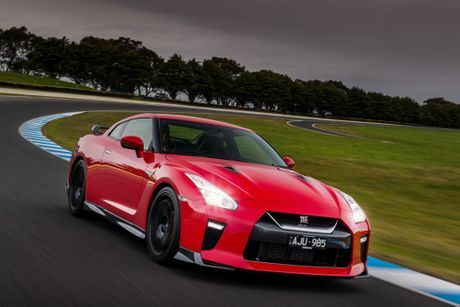 Tackling the ridiculously quick Phillip Island circuit, the GT-R proved outstandingly adept. Carrying obscene speeds into the twisty stuff. 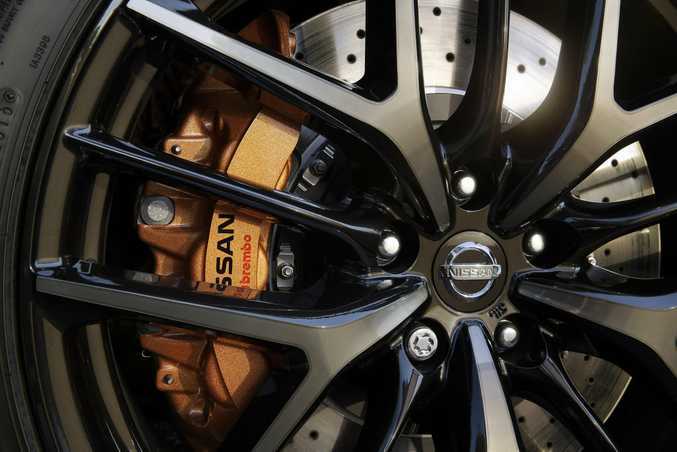 The brakes, using Brembo monoblock six-piston front and four-piston rear calipers, never faded as this four-wheel masterpiece made the mundane drivers look like driving geniuses. Base Premium models come with 20-inch alloys, eight-inch colour touch-screen with sat nav, Bose 11-specaker audio system with noise cancelling function, various vehicle data display functionality, full Bluetooth connectivity, dual zone air con, cruise control and heated electric adjustable front seats. 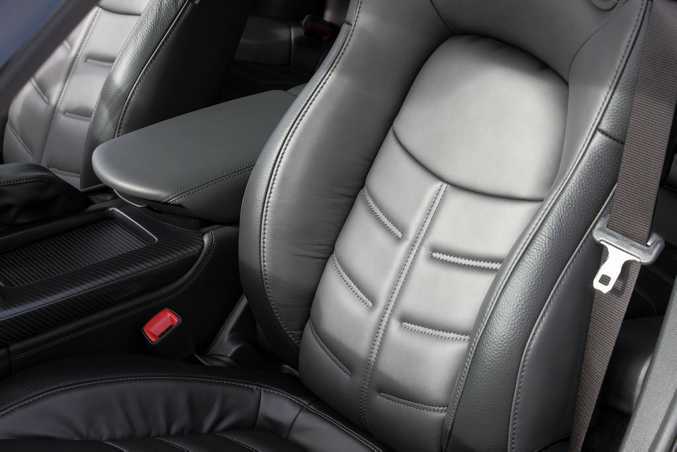 Premium Luxury models gain the upgraded leather trim with a range of colour options. Track models come honed by Nismo, the in-house tuning, motorsports and performance division of Nissan, and also get additional bonding on spot welds for more rigid and precise suspension under load, special front and rear suspension set-up, big carbon rear spoiler, Recaro seats, black leather with contrasting red stitching throughout the cabin, larger front guards to make way for suspension changes and a wider wheel width (up to 10 inches from 9.5). 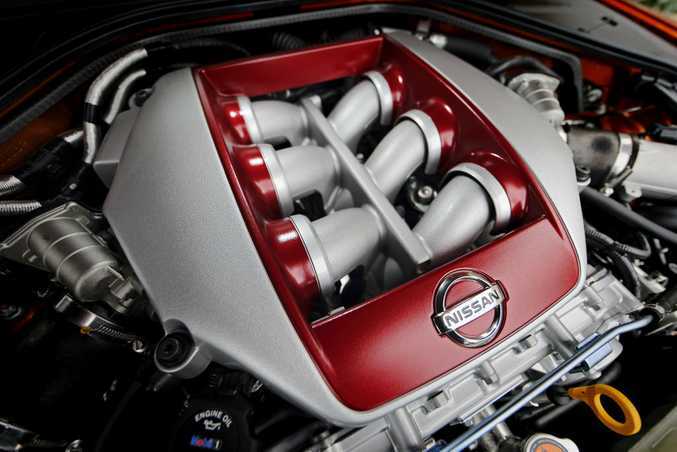 There's no capped price servicing available, but the standard Nissan maintenance schedule applies. Average fuel consumption is quoted at about 12 litres for every 100km, although that alluring throttle often gets the better of you which would push the figure closer to 20. Also, expect to part with some reasonable coin when time to replace the 20-inch nitrogen-filled run-flat Dunlop SP SPORT MAXX rubber. 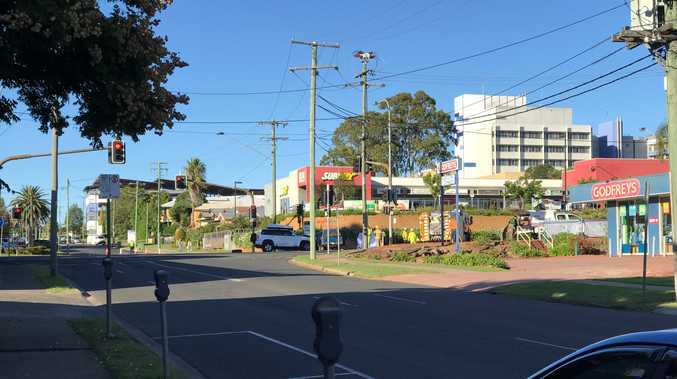 Well, this kind of performance attracts some silver-spoon friends, including the Aston Martin V12 Vantage S ($354,300), Audi R8 V10 quattro ($354,616), Ferrari 488 GTB ($469,988), Mercedes-AMG GT S ($294,325), Porsche 911 Turbo S (from $478,000) or maybe the Lamborghini Huracan LP610-4 ($428,000). 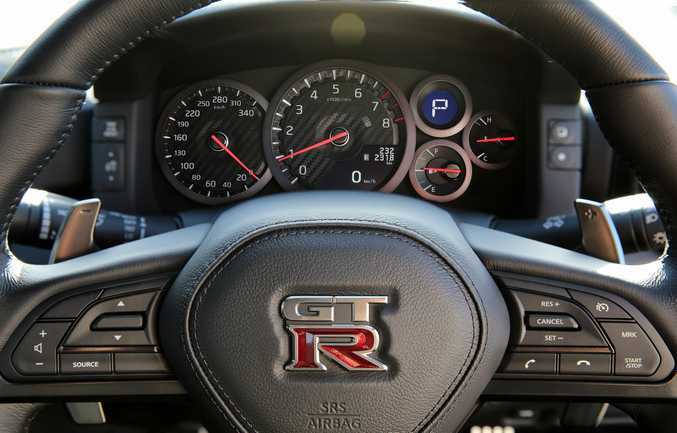 Typically a place made for the driver only, the GT-R is a supercar the family can enjoy. It even has child seat anchorage points. There are also dual cup holders in the centre console, and one in the rear of Premium editions. You can even do a grocery shop with a reasonable boot. Untrained eyes may struggle to differentiate the MY17 from its predecessor, but closer inspection reveals a host of changes. Most prominent is the larger "V-motion" grille and a new bonnet. Other tweaks include new side air vents in the quad exhaust tips, silver finished rear diffuser…all in the name of aerodynamics and downforce. The GT-R is certainly not the prettiest supercar going around. It doesn't turn heads like a Ferrari, Lamborghini or Porsche, its sleek lines are more sleeper than attention grabber. Colours include metallic orange, as well as blue, silver, red, black, ivory and gun metallic. 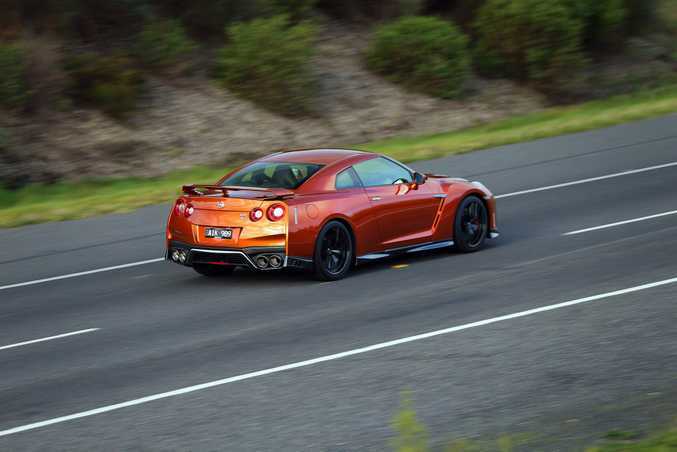 Getting behind the GT-R is smile-inducing. Every prod of the accelerator encourages a chortle as it bites into the bitumen and churns across the terrain with consummate ease. More refined than the car it replaces, it's conceivably a daily driver. But you need hefty self-control. That acceleration begs for exploration and, given our ever-tightening road restrictions, track time would be vital to undercover its potential. Details: Two-door four-seat all-wheel drive supercar. Engine: 3.8-litre twin-turbocharged V6 generating maximum power of 419kW @ 6800rpm and peak torque of 632Nm @ 3300-5800rpm. Consumption: 11.7 litres/100km (combined average). Performance 0-100kmh: 2.7 seconds. Top speed 315kmh. Bottom line plus on-roads: Premium $189,000, Premium Luxury Trim $195,000, Track $227,000. What we liked: Simply outrageous performance, ability to make the driver look good, grip and control. What we'd like to see: Improved interior materials to rival the luxury big guns. Warranty: Three-year 100,000km warranty. There is no capped price servicing, with maintenance every six months or 10,000km.